Intel® Optane™ SSD has been a game changer in how storage gets deployed in data centers using VMware solutions. Given its ability to eliminate data center storage bottlenecks due to high IOPs at very low queue depths VMware administrators managing datacenters have been able to take the advantage that Intel Optane SSD brings both in VMware ESXi as an extremely fast caching device and in software-defined storage technologies like VMWare vSAN. For an in-depth analysis of Intel Optane SSD benefits on a vSAN cluster do take a look at the study by Evaluator Group. Most of the recommendations in the table below would be enabled by default but it’s always good to confirm if the settings below are in an enable or disable state. Right click on the Virtual Machine planned to use for test and choose edit settings. Click on Add other device option and select SCSI controller from the list. 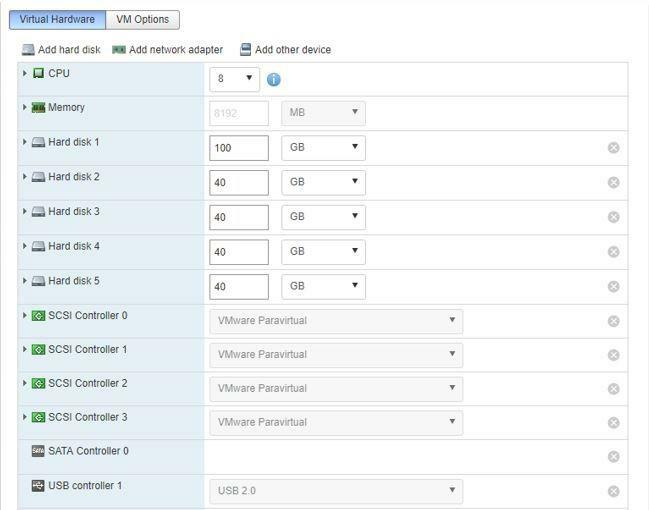 On the newly added SCSI controller change the type to VMware Paravirtual from the drop-down menu. Now click Add hard disk option and select new hard disk. Location = Click on browse button and choose the Datastore created using the Optane SSD in the above steps. Disk Mode = Dependent5. Click Save button. Add 3 more new hard disks using the Datastore with Optane SSD with each hard disk assigned to an individual Paravirtual SCSI controller by repeating steps 'i' to 'v' listed above by opening the edit setting tab. Power ON the virtual machine. We would now see 5 disks listed with one disk dedicated for the Virtual Machine OS and the remaining 4 disks created with the Datastore using the Intel Optane SSD which can be used for testing in the Virtual Machine. You are now ready to start benchmarking the Intel Optane SSD with your favorite test tool in VMware ESXi and see the excellent performance it brings in a VMware ESXi installed system enabling storage transformation in your datacenter! Vivek Sarathy, Enterprise Architect Non-Volatile Memory (NVM) Solutions Group at Intel Corporation, specializes in software-defined & hyper-converged infrastructure, hybrid cloud and traditional storage. 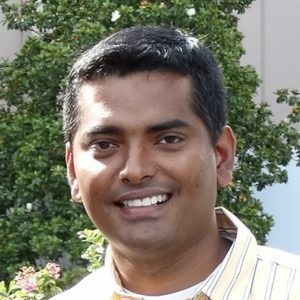 Vivek works with leading software vendors on architecture and advises IT decision makers about best practices around storage and hybrid cloud technologies.